When we announced the nine teams joining us for our autumn accelerator programme we promised to share some of the learnings from our application and selection data with you. We took it a step further, and started digging back into the application data over the years and here’s what we found. Since our first call for applications back in the winter of 2011, our application numbers have increased each cohort up until the end of last year. We’ve seen a little dip this year, and we think this might be because we’ve increased the amount of screening we do before applications close (through our new application Q&A events). The overall graph points nicely up though. But it’s not just a numbers game. We’re more interested in quality over quantity, and we think the standard of applications has really improved over time. A third of all founders who applied for the A17 programme were female (123 out of 377). Overall, more than 50 per cent of teams that applied had a woman on their management team. The graph shows the percentage of all female founders in our applications over time. Compared to industry norms this is pretty good, however, we want to see that line moving up more. There was a fairly even spread of applications across our main social impact themes this time around. We did attract more health ventures than any other theme, which differs from the last cohort when sustainability ventures were the most common. 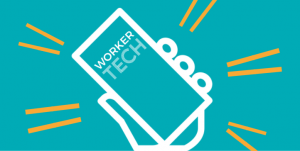 We also saw an increase in the number of WorkerTech applications, tackling problems with the future of work. We continue to heavily attract teams already based in London, despite efforts to make our accelerator more accessible to teams based elsewhere. 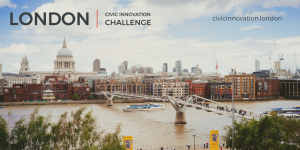 However, five of the nine teams that we selected for this cohort are based outside of London. So we’ve changed the schedule and timing of our workshops and events to make it easier for them to travel in from places like Bristol and Manchester. The average team size of all applications was 2.4, and the average team size of the final cohort is 2.7. The largest team on this cohort has four people and the smallest has two. The average age of all founders that applied was 31, however, there is a real spread in the range from the early 20s to mid-50s. Apart from our very first cohort where the average age was 28, the average age has remained in the early 30s. 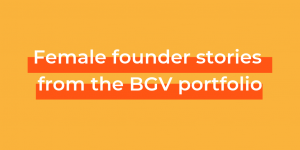 If you’re interested in joining our next accelerator cohort and kick off your BGV journey, then stay tuned. We’ll be opening up our call for ideas in November.